To ensure proper containment and destruction of your documents and materials, Cutting Edge Document Destruction offers a variety of security containers built to suit your document collection and shredding needs. 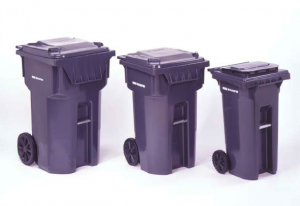 Our containers allow for easy collection and disposal of your documents. If you are not sure which containers suit your business, we can recommend a variety of configurations based on the quantity and frequency of your document destruction needs. 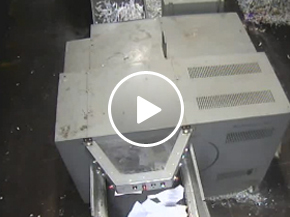 Our security containers are the best in the industry and can meet any of your document collection and disposal needs. If you are looking for the most secure document collection console for your document destruction needs this is it. Our security consoles are designed with rugged reinforcement to give you the efficiency, flexibility, and durability you need in an office environment. Low-profile casters can be added for easy movement of the security console. 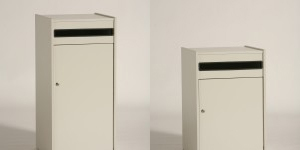 Our Security Collections carts are the best solution for high-volume document destruction needs. Available in three different sizes, our Security Collection Carts are designed to handle large amounts of documents while taking up as little space as possible. Our personal document containers are a perfect to solution to deskside document disposal. They are designed to be part of your workstation for document disposal at arm’s reach. Body is designed to guide paper into a stack for maximum volume.